Prominent & Leading Manufacturer from Faridabad, we offer garbage bins, kitchen bin, wheel barrow, dust bins, dust bin and road side bin. 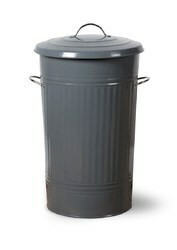 These quality assured range of Garbage Bins are available in LLDP material construction in non fading color which makes them durable and long-lasting in usage. 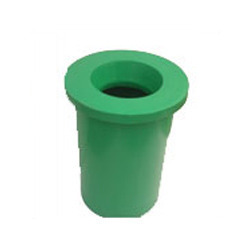 Made available in working capacity of 80 lts, we are presently offering these dustbins in green, blue, red colors in height of 940 mm with top size of 435x435 mm and bottom size of 330x330 mm. Further, as these can also come in FRP/ GRP molded material which makes it easy to maintain. 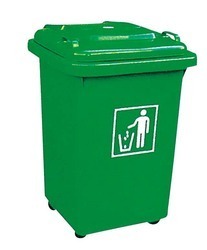 These bins are also highly preferred to be used in public areas and are easy to install in commercial and household sector. Further, our expertise also lies in custom developing these bins to meet client’s special requirements. Some of its advantages include easy maintaining, suitable for collecting waste in offices and public areas, available in attractive model designs and others. Kitchen Bin is an ace product from end. These are extensively used in households and commercial places for keeping the waste of the entire space. The range of bins is designed using best grade and hygienic material & ensures proper storage of product without any leakage. These products from our side are available in a variety of shapes & sizes, and can also be customized according to the customers’ needs. Finding use of collecting garbage and disposing them thereof, these Wheel Barrow come constructed in LLDP material finish in non fading color and capacity of 100 lts and 150 lts. Available in green, blue, red color choices, these come with comfortable handle support which makes them easy to handle and use. Coming with anti tilt leg stabilizer and full size tires, we can also offer the trolleys in other customized designs & color combinations to meet client’s special requirements. 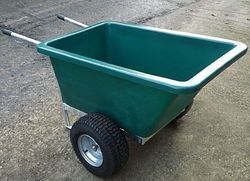 Some of the advantages of these wheel barrows include suitable for housekeeping and maintenance, capable of bearing heavy weight, offering complete ease in operations, corrosion resistance finish, longer functional life and sturdy construction support. Ace Polymers (India) is one of the leading manufacture, trader, wholesaler, retailer distributors of Road Safety, Dust Bins, Industrial Safety and Roto moulded range of Dustbins, Water Tanks and Industrial containers. 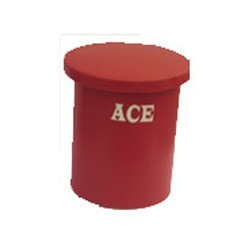 Ace Polymers (India) is one of the leading manufacture, trader, wholesaler, retailer distributors of Road Safety, Dust Bin, Industrial Safety and Roto moulded range of Dustbins, Water Tanks and Industrial containers. We are an established name due to the success of Kitchen Bin in the market. Making use of advanced premium grade material, these offered bins are highly demanded and used in the storage of a wide range of products in the industry. Besides this, these are available with us in numerous sizes dimensions and specifications. This one comes in great capacity and in non-fading colors as well. As a leading name of Kitchen Bin, our company has made its significant mark in the market. 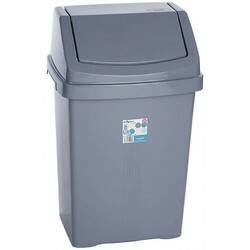 These bins from our end are used in a number of domestic and commercial applications and are superb in terms of capacity and ease of placing. Our products are high in demand and are offered in various standard sizes at the best market price enrage. 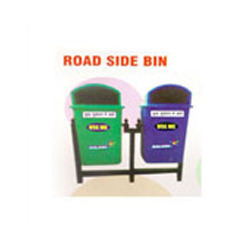 Being a renowned organization in the market, we are engaged in offering an all-encompassing range of Road Side Bin. 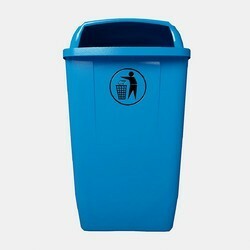 Provided bins are available in a variety of sizes, designs, colors and patterns as per the requirement of our clients. Offered products are used to put up different kinds of waste and are perfect to be used for dumping garbage. In order to deliver the defect free range, these are checked against various parameters of quality.